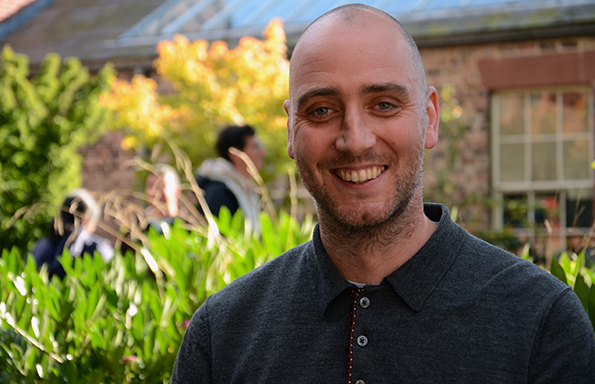 Dr Paul Jones will become the Bluecoat‘s first sociologist in residence to its building, as part of the arts centre’s 300th anniversary programme in 2017. 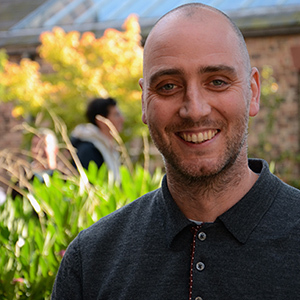 Dr Jones, a Senior Lecturer in the University’s Department of Sociology, Social Policy and Criminology, will be working with the arts centre throughout the year to investigate its public role. The residency will focus on art, architecture and society, and how both Bluecoat and the University connect with the city. 2017 marks the 300th anniversary of Bluecoat’s building, a former charity school that became the first arts centre in the UK. Integral to Liverpool’s heritage, and centrally located in the heart of the city, Bluecoat stages a wide range of artistic programmes including visual art, dance, literature, music and performance. It reaches one of the widest demographics of all arts venues in Liverpool, and attracts over 600,000 visits annually. Against this backdrop, Dr Jones will carry out sociological inquiry via a programme of events across the year that look at how the urban environment, particularly Liverpool’s, has changed over time and the role of art and art venues, such as Bluecoat, in those changes. The residency will invite the public to participate in a range of research and learning opportunities which will take place outside of a university setting. The residency has grown out of a shared conviction between Bluecoat and the University of Liverpool that there is a significant appetite amongst Liverpool’s public to find out more about ideas that inform both contemporary art and the development of urban contexts. The residency will open up a public academic discussion, broaden access to current thinking about culture and our urban environment, and contribute to Bluecoat’s own understanding of its civic role, as well as informing Paul’s research. Bryan Biggs, Bluecoat’s Artistic Director said, “We are delighted to host our second resident academic from University of Liverpool. 2017 represents a pivotal year for Bluecoat as we reflect on our 300-year history and anticipate the arts centre’s future role in a rapidly changing world. Paul has already immersed himself in our work and has a real understanding of our vision and the challenges we face. The partnership between the two institutions goes back many years. In 1910 Charles Reilly, then Head of Architecture at the University, moved the School of Architecture to Bluecoat, partly in order for the students to engage more with the city and be closer to the architects’ practices. The Sociologist in Residence programme follows a recent partnership with Dr Panayiota Vassilopoulou from the University of Liverpool, who was Philosopher in Residence at Bluecoat in 2013-15. During her residency, she delivered a highly successful series of lectures and other events. The Bluecoat building, a fine example of Queen Anne style architecture, began life as a charity school in 1717, before housing an arts community in 1907 and formally becoming an arts centre in 1927, making it the oldest of its kind in the UK. Its anniversary programme sees 300 days of celebration in 2017, from 4 February – 30 November, comprising exhibitions, performances of music, dance and live art, literature events, commissions and a major heritage participation project, My Bluecoat. Dr Paul Jones’ Inaugural Talk takes place on February 8, from 6.30pm and introduces the innovative space created by his residency, including reflection on its implications for how culture in the city is understood, and the potentially public nature of academic sociology. Paul will give an overview of the Sociologist in Residence events, as well as reflecting on the changing nature of urban space in the city. The inaugural talk also includes contributions from Professor Janet Beer, Vice-Chancellor of University of Liverpool, who will reflect upon the university as an outward-facing institution, and Professor Les Back of Goldsmiths, University of London, whose talk will cover some of the tensions associated with a public-academic role.